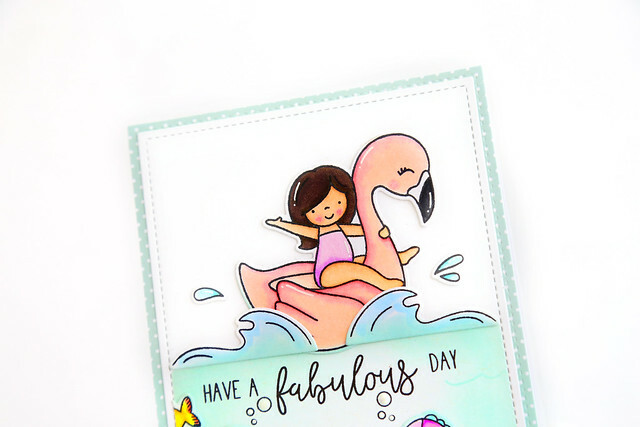 Thanks so much for your enthusiasm and kind words for my new sets, Beach Day and Flamingo Floatie. You can find them in the Neat and Tangled store right now! And something new that Danielle is making available this month: an I-want-it-all bundle! 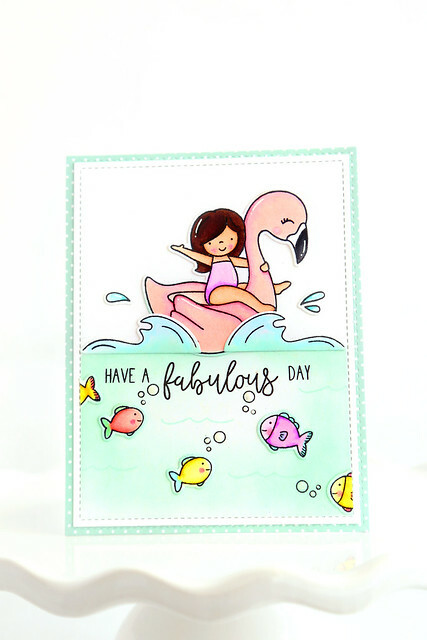 I paired the new Flamingo Floatie image with fish from Mermazing and Kitty's Favorite Things. The little fish peeking up at her are so cute! To make them seamlessly blend in the water, I used a marker to color around the outline of each fish die-cut.